This is one of the rarest plants in the wild. There is only one known wild plant, which grows on Great Island in the Three Kings Islands. 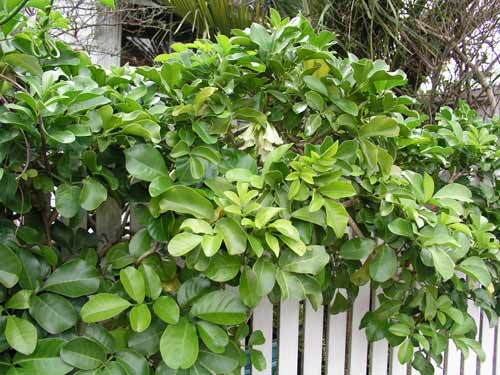 However, it is a rampant climber and can be grown from cuttings. As long as it is protected from frost and given a good soil, it will thrive in the warmer parts of New Zealand. It flowers all through winter, producing bunches of cream, bell-shaped flowers (centre).